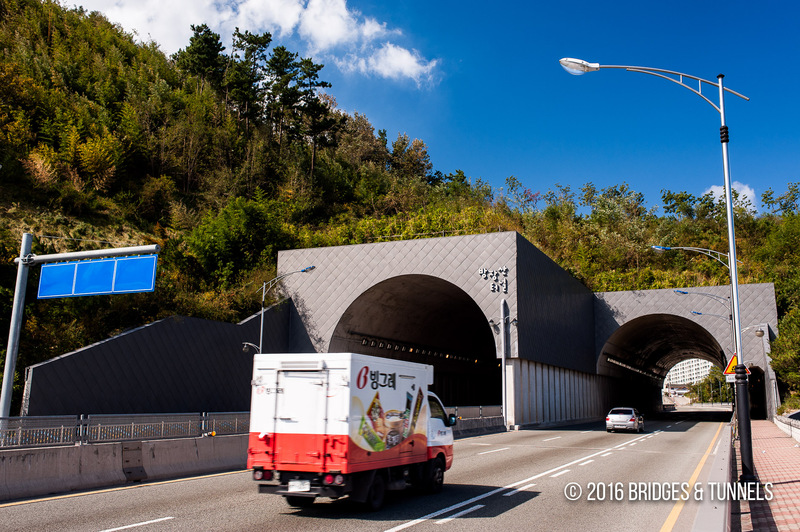 The Bangjangsan Tunnel (방장산터널) and adjoining bridge is located on NR 31/Posco-daero in Pohang, South Korea and opened on May 20, 2008.1 The six-lane tunnel was criticized for featuring zinc panels on the exterior portals at an extra cost of 220 million won. 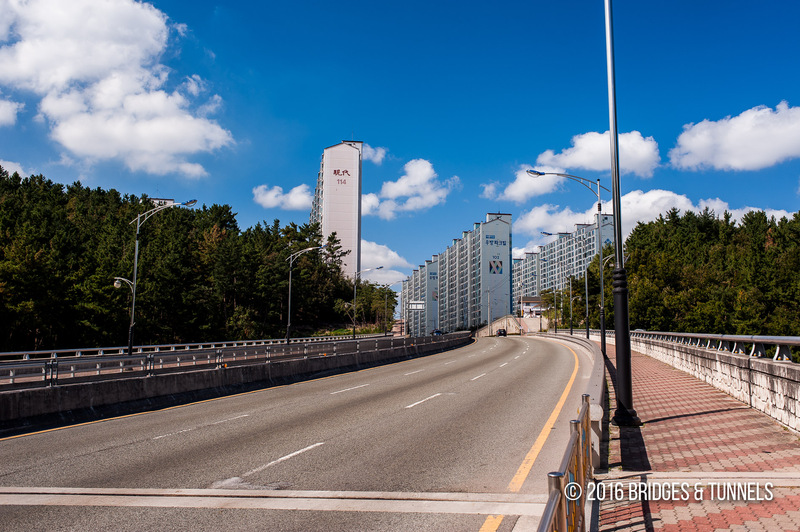 “Pohang Tunnel Exterior Wall Construction Waste.” Asian News Agency. 19 June 2009. Web. 2016.